Heirs cannot change the terms of a written will before or after the death of the testator. Therefore, if a written will exists and it is being probated, the heirs must either accept the inheritance or disclaim it. If assets are disclaimed, the probate court will follow state law and distribute those assets to the other heirs. If your sibling is the only other primary beneficiary, she will inherit your disclaimed bequest. You should familiarize yourself with the terms of the will before you attempt to affect its outcome. If your sibling is not named in the will, you will not be successful in transferring property to her by disclaiming the inheritance. Instead, your inheritance will go to the other primary beneficiaries named in the will. If contingent beneficiaries are named, they will also receive assets under conditions stipulated in the will. In the absence of a will, property is distributed as directed by state law, usually to the surviving spouse, if applicable, and children of the marriage (natural or adopted). 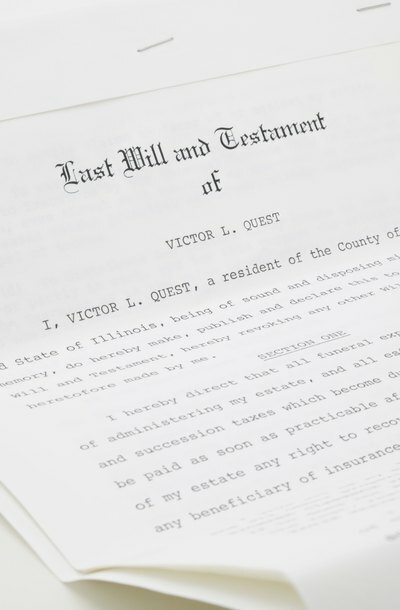 If you wish to transfer inherited assets directly to a sibling, you must do so after the probate court has distributed the assets as directed in the will or according to state law. Instead of filing a disclaimer with the court, you’ll need to take possession of the assets and then transfer them to your sibling by gifting the assets outright or transferring title. If you inherit property such as a house or car, the executor of the decedent's will is responsible for transferring title to you during probate. After you take possession, you may transfer title to your sibling by following the laws and procedures in your state. For example, to transfer a motor vehicle, you must present the title certificate, an affidavit of transfer, odometer statement and any other required forms to the Department of Motor Vehicles. This agency will issue a new title in your sibling's name.